Barack and Michelle Obama have been doing big things since they triumphantly exited the White House in early 2017. The couple just signed a deal to produce content for Netflix and, later this year, Michelle will debut her new memoir Becoming. 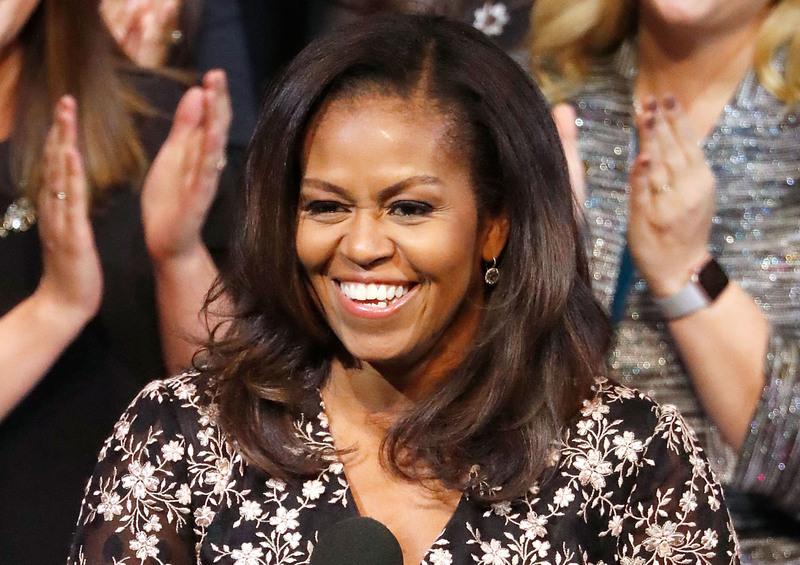 In anticipation of her second book (her first, American Grown: The Story of the White House Kitchen Garden and Gardens Across America, a gardening guide, was published in 2012), Michelle is posting epic throwback photos on Instagram. "Over the next few days, I’ll be sharing some photos and memories from my book," Michelle wrote alongside the first image. "My father, Fraser, taught me to work hard, laugh often, and keep my word. My mother, Marian, showed me how to think for myself and to use my voice. Together, in our cramped apartment on the South Side of Chicago, my family helped me see the value in our story, in my story, and in the larger story of our country." She also shared a photo from her Princeton days “in the early 1980s,” and described the experience of being a first-generation college student among mostly “white and well-to-do” Princeton undergrads. "I know that being a first-generation college student can be scary, because it was scary for me," she captioned the throwback photo. "I was black and from a working-class neighborhood in Chicago, while Princeton’s student body was generally white and well-to-do. I’d never stood out in a crowd or a classroom because of the color of my skin before. But I found close friends and a mentor who gave me the confidence to be myself." Bonus #tb: She shared this childhood photo on Mother’s Day to honor her mom, Marian Shields. Michelle promised more incredible throwback images to come, and we’re assuming there will be many, since her book doesn’t drop until November 13th, 2018. We love the throwback photos, and we can’t wait for her upcoming memoir, but our only question (or wish, really) is: when can we start chanting “Obama 2020”?